Geneva (AFP) - The UN human rights chief warned Wednesday that children in Yemen continued to be killed and maimed at an alarming rate, despite a three-month-old truce in a vital port. "Since the Stockholm agreement on December 13, it is estimated that eight children have been killed or injured in Yemen every day," Michelle Bachelet told the UN Human Rights Council in Geneva. Yemen's beleaguered Saudi-backed government and Iranian-linked Huthi rebels agreed in Sweden on a truce that included a ceasefire in Hodeida, the lifeline port on the Red Sea. But Bachelet said children were currently living in 31 active conflict zones across the country, and witnessing "heavy, war-related violence", including in Taez, Hajjah and Saada. The UN rights chief voiced particular concern at the recent escalation in the northern province of Hajjah, where 22 people -- 12 children and 10 women -- were killed, and another 30, nearly half of them children, were hurt in strikes earlier this month. An estimated 10,000 people have been killed since March 2015, when Saudi Arabia and the United Arab Emirates -- with the logistical and political backing of the United States -- unleashed air power against the Huthi rebels. 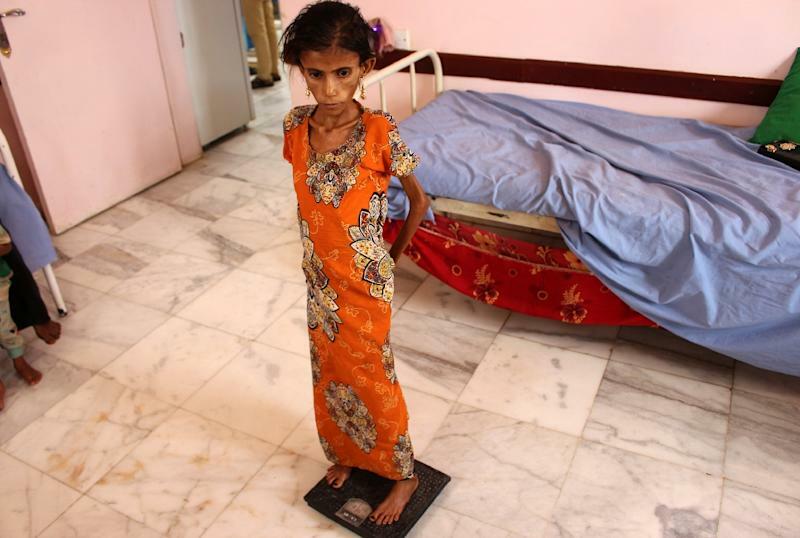 Bachelet said it was unclear how many children had starved to death in Yemen but warned that "Yemeni civilians, including children, are now more vulnerable and hungrier than at any time since March 2015". "In most cases, the children are between 11 and 17 years old, but there have been consistent reports of the recruitment or use of children as young as eight," she said.